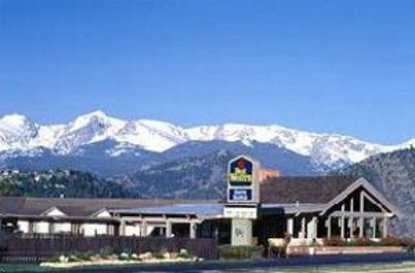 The Best Western Silver Saddle is located in the high mountain valley village of Estes Park, Colorado. All rooms, facilities and grounds are one-hundred percent non-smoking. A deluxe continental breakfast is served each morning. All of our air-conditioned rooms include a refrigerator, microwave, coffee maker, iron and ironing board. The Best Western Silver Saddle is the perfect location for retreats. The views in the crisp mountain air are unparalleled so your memories created in Estes Park, Colorado at the Best Western Silver Saddle will last a lifetime.